IMAX is spectacular innovation that can absolutely intensify the right kind of movie. While we usually associate it with seeing the Avengers battle it out on the biggest screen possible or being thrust into immersive views of outer space, now we can add watching Alex Honnold scale Yosemite’s 3000 foot El Capitan rock wall with no ropes in Free Solo to the list of IMAX-worthy experiences. And what an experience it is… This documentary from director Jimmy Chin (2015’s Meru), is something of a miracle. The fact that someone as crazy as Alex Honnold is out there, still alive, and willing to pull off a stunt like this, and that the filmmakers involved were able to shoot it with such a keen eye. It’s quite an achievement… Especially since no one died in the process (spoiler alert, but lets be real, it probably wouldn’t have come out if someone did). Alex Honnold is one of many free soloers in the world. These are people who rock climb over and over and over again until they feel so confident in their abilities on the particular rock wall in question that they can do it without ropes. One wrong move… Even as little as a sneeze and they’re most likely dead… Or at least extremely injured. Honnald jokes at one point about “exploding” on impact if he falls. One might think to themselves “oh the poor guy’s girlfriend,” and they’d be right. 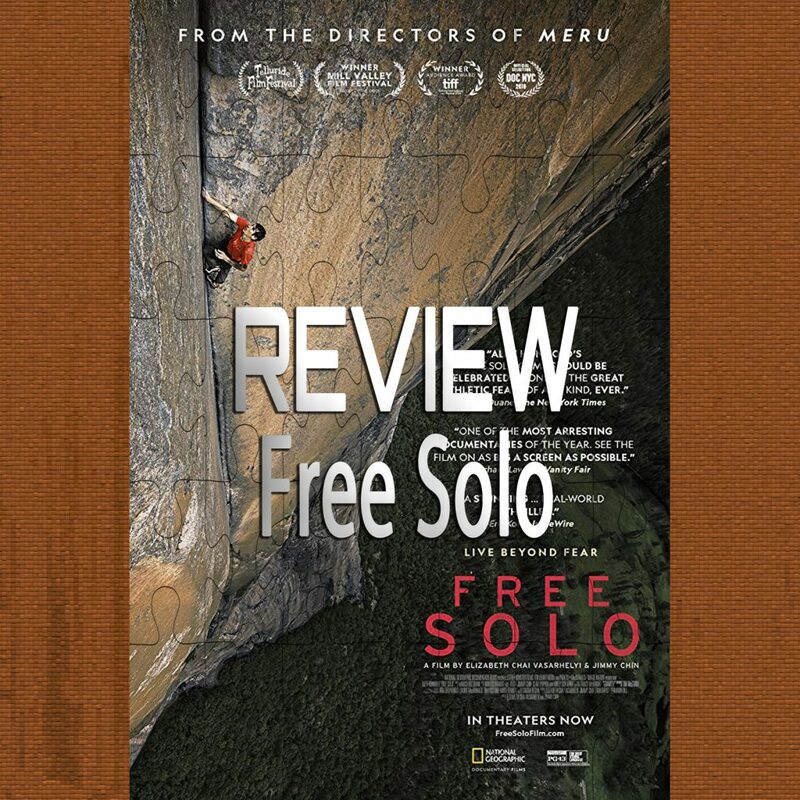 Free Solo originally came out earlier in 2018 and made it to the top of many critics’ best documentaries lists. I didn’t get to see it the first go around, but catching it in IMAX was really the way it was meant to be seen all along. I’m sure it’s great without it too, but the views of Yosemite are breathtaking and seeing the massive scope of the rock wall and the challenge that Honnold put himself through, while certainly impressive on any kind of screen, is totally amplified by the super sized screen. I hope more documentaries like this make their way to IMAX.